BORG/McENROE is one of two tennis films that played at the 2017 Toronto International Film Festival, the other one being BATTLE OF THE SEXES that had already opened. The two films by inevitable comparison show vast differences in approach. BORG/McENROE takes its subject of tennis very seriously capturing all the fear, all the glamour and all the stress each player faces of the matches, unlike the other film relying on comedy to stir its audience. The results of the tennis matches are crucial for both films. In BORG/McENROE, they are exciting and competently shot while the matches in the other film is laughable and boring. The actors also here sport tennis bodies while Emma Stone is too skinny and Carell too bloated. Director Getz shows the punishment and pain each player goes through. Though Borg is set as the stable reliable player the Swedes can count on, the film also shows Borg at his most vulnerable, buckling too under pressure. On the other hand, McEnroe is shown as a player that strives on pressure and one that performs well on stress. 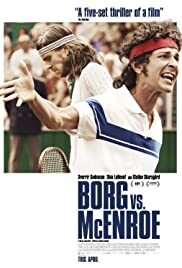 The film also shows more of Borg’s relationship with friends, coach and family then McEnroe, the reason likely being that the film is Scandinavian. 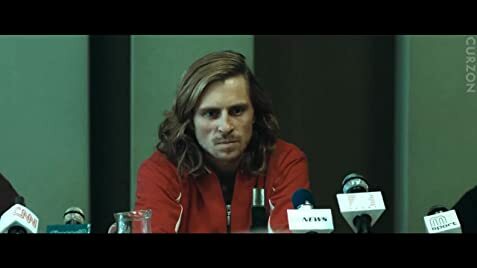 But the key to Borg/McEnroe is the story of the epic rivalry between Swedish tennis legend Björn Borg (Sverrir Gudnason) and his greatest adversary, the brash American John McEnroe (Shia LaBeouf). The film devotes almost equal time to each player, and shows them as two totally opposite human beings, despite the fact that both compete in tennis. But the common thing is that both know that they have been pushed to the limit to get where they are. Gudnason and LaBeouf deliver believable performances as the tennis stars. LaBeouf probably played himself, the angry controversial person himself in real life. Great performances elicited by Getz all around. BORG/McENROE is what a tennis film should be. It celebrates the game of tennis, delivers exciting matches and teaches the audience a thing or two about the game while offering some insight of what tennis professionals go through. The film was chosen as the Opening Gala for the Toronto International Film Festival last year and garnered generally favoured reviews. A super watch for tennis fans, especially.